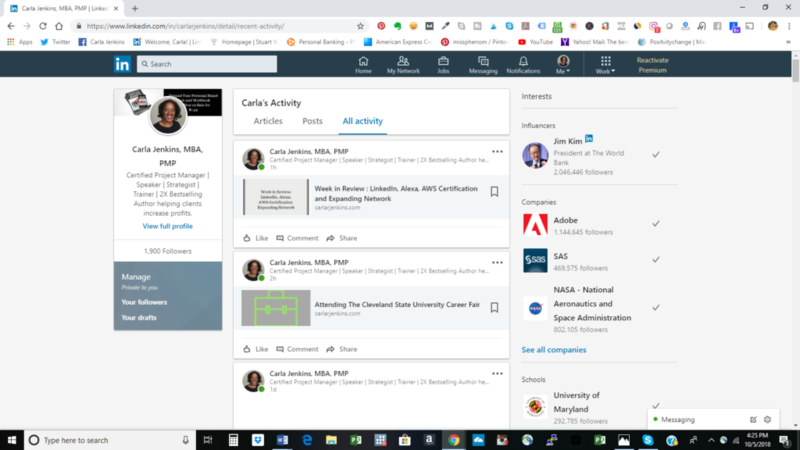 I have received 1900 LinkedIn followers. As an MBA business blogger, I am honored because I love my community. I love to engage with them. Follow me for the best in social media, personal branding and project management. I cannot wait to get to 2000 LinkedIn followers. Keep your eyes peeled for more content from me.